Check out my new show, Android Confidential. Huawei Mate 20: The Huawei Mate 20 and newer P20 are already two of the best phones you can buy, but the Mate 20 could beat them both (along with the iPhone XS). Rumor has it that Huawei will be using a triple-Leica setup on the Mate 20, an impressive array that has already shown tremendous results on the P20, the current Last Cam Standing reigning champ. 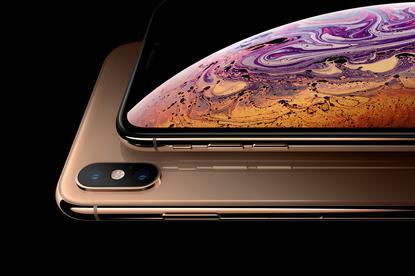 Add to that the Kirin 980 chip and a 6.9-inch screen, and you’ve got a maxed-out Android phone that can beat the iPhone XS Max. Google Pixel 3: Google’s Pixel 2 XL already has a camera that’s on par with the best phones you can buy now, and it’s a year old. While the Pixel 3 XL might not best the iPhone X in the looks department, it could beat it where it counts: the camera. Google does amazing things with just a single camera thanks to its top-notch image signal processor, and it’s rumored that it will be adding a second lens to the front of the phone. That means selfies would be wider and crisper, and portrait selfies would be next-level. For Instagrammers and Snapchatters, that could be worth more than a shiny new gold color. OnePlus 6T: OnePlus isn’t exactly a household name in the U.S., but that could be changing with the 6T. For one, it’s rumored to be sold at T-Mobile this year, which would be the first time a OnePlus phone is available through a major carrier. For another, it’s going to have a killer new feature: an in-display fingerprint sensor. That’s not a rumor, it’s been confirmed by CEO Carl Pei. So the OnePlus 6T won’t just have premium specs and a low price tag, it’ll have a feature you won’t find on the Note 9, LG G7, Pixel... or the thousand-dollar iPhone XS.